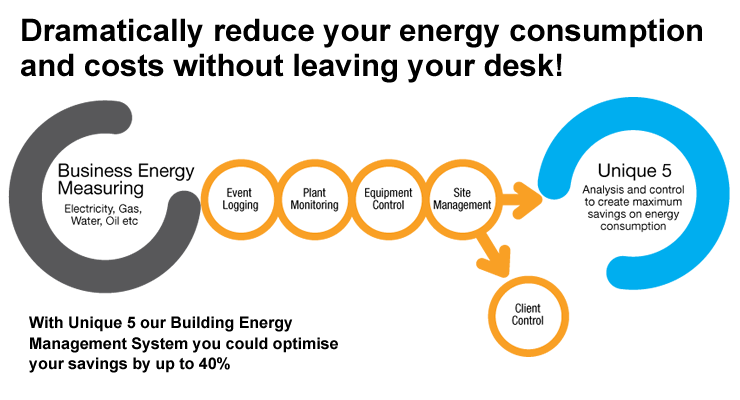 Dramatically reduce your energy consumption and costs without leaving your desk! We currently measure, monitor, control and indeed manage a wide range of equipment in over 900 buildings for our clients, enabling them to achieve significant reductions in their energy consumption whilst saving them thousands of pounds in the process and of course, being kind to the environment. All this, without moving a muscle. To simplify the process for you, we offer a complete ‘one stop shop’ service covering; energy audit, design, manufacture, commissioning, repair, refurbishment, re-commissioning and servicing. It is reassuring to know that, here at Severn Controls, we ‘practice what we preach’ by testing the latest innovations in energy control equipment and by continually seeking ways of increasing efficiencies within our own operations as well as those of our customers. As far back as 2007 we were installing wireless web enabled technology as one of the options in our BEMS (Building Energy Management Systems). To experience the unparalleled power, flexibility and control of Unique 5 please contact us to arrange a visit or register your interest below. Form fields maked * are required.